Drywalls are an integral component of most commercial and residential spaces and this job requires skill and expertise. We at Productive Quality Construction are a property maintenance and full-service construction company situated in Atlanta, GA. Over the years, we have built a very solid customer base here and cater to clients in and around the entire metro Atlanta area. As a long-standing company in this space, we have developed the expertise to handle all types of drywall installation projects to perfection. In most instances, this job is part of a broader house construction project and we ensure it's completed in a seamless manner. 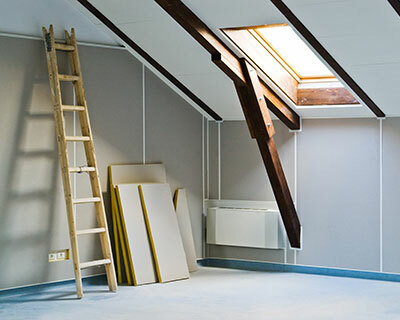 We can also handle drywall replacement and repair jobs that could be part of home improvement or renovation project. Since we are also skilled painting contractors, we know exactly how important it is to have a seamless finish on the drywall. Why Hire Us For Drywall Installation? If you are looking for high-quality, customized drywall installation services, Productive Quality Construction is the company to contact. Feel free to call us on 770-217-7560 and discuss your project details with one of our experts. We provide end-to-end solutions at very cost-effective drywall installation cost.